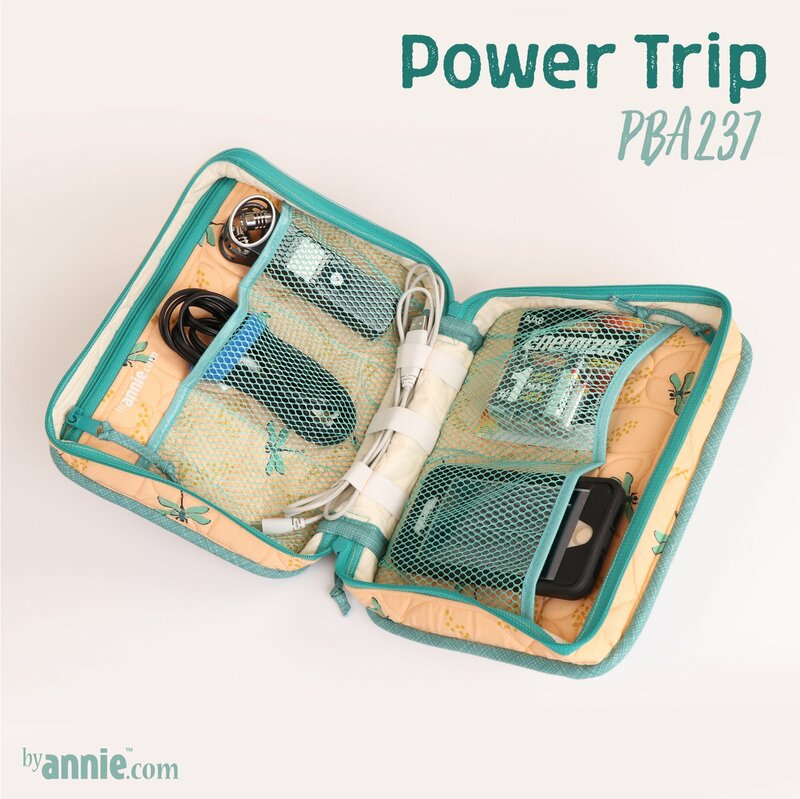 A gift that is perfect for guys, Power Trip provides storage space for lots of electronic gear or other small gadgets and supplies. Learn to make and attach a sturdy padded handle, to make inner zippered pockets, and how to easily bind mesh pockets with fold-over elastic. Practice installing a double-slide zipper as you make a zipper side strip which allows the bag to open flat for easy access. Continue to perfect your binding skills — this time everything is going to be visible on the outside of a bag. You can do it! You've had lots of practice. Be prepared — your sewing skills are about to go to the next level!